Net Angels Review 2019: Is Net Angels a Good Hosting? NetAngels is the choice if you want to configure your own web hosting server and make sure you only pay for what you use, NetAngels also has basic shared hosting options for those who have other needs. NetAngels is a Russian-based web hosting provider that specializes in providing high-end cloud hosting solutions. A core aspect of their offering is to allow customers to configure their resources to suit their business requirements. 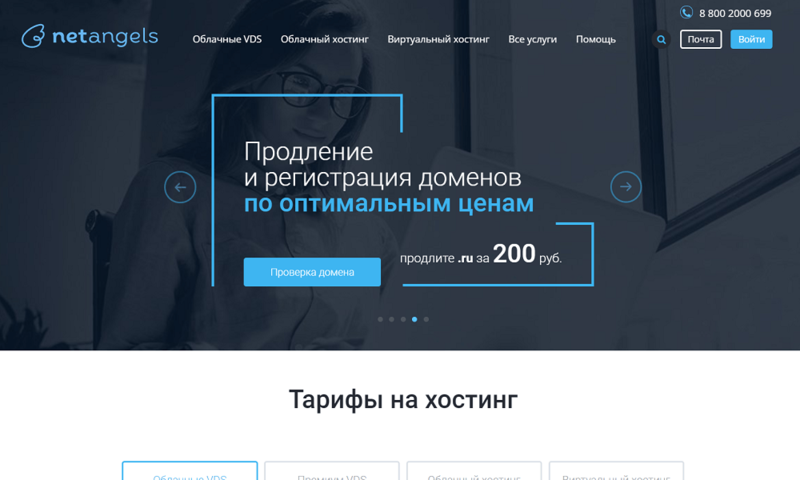 They are one of the top 20 Russian hosting providers with a decent customer base with over 35,000 customers and over 70,000 sites. They provide the installation of the most popular content management systems like WordPress, Bitrix, Joomla, Drupal, and more. Nothing is stopping you from installing others you require, if you do it yourself and have enough server space. One of the features that will be appealing to many users would be the ability to customize their cloud server configuration. This means that you only have to pay for what you need. You can still choose from some preset configurations based on popular setups if you want a simpler approach. A NetAngels product does require you to have some working knowledge of running a server with web hosting as their technical support doesn’t hold your hand (unless you want to pay extra). Other than that, the ability to use the CMS of your choice will make it a simpler and friendlier experience overall. Shared hosting: There are three separate plans that offer 3,10, or 15 GB of storage, 3,15, or 20 GB for emails, 3,10, or 20 sites, and 512 or 768 MB of RAM. You can choose from a number of CMSs, such as WordPress, Bitrix, etc. to manage your website. Cloud hosting: Their basic cloud hosting allows you to set a custom amount of RAM, storage, cache memory, and Redis memory. The price will then be calculated by a standard algorithm. Cloud VDS hosting: You can either configure your resources yourself or choose from preset plans. You have more options and can choose CPU, RAM, and storage as well as the number of IP addresses and whether you require backups. You can also choose a premium setup with even higher processing power and completely dedicated resources. All plans come with a free LetsEncrypt SSL certificate, installation services, unlimited domains, databases, and bandwidth as well as 24-hour technical support. There is 24-hour technical support available for all products and plans. Unfortunately, there is no live chat but they do provide email and phone support. Some technical support services do come at an extra cost – so be aware of this. If you have some experience or know-how when it comes to running a hosted website or server, you might enjoy the increased freedom and control with NetAngels. Customizing your own server configuration is also a welcome feature. However, don’t expect the most variety when it comes to shared hosting. Wondering how Net Angels stacks up against other Web Hosting companies? Enter any other Web Hosting company and we will give you a side-by-side comparison.